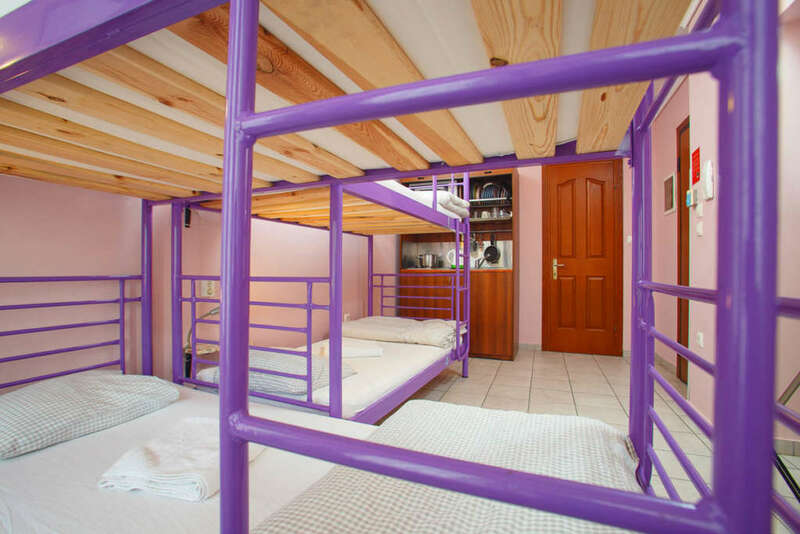 This is a bright 6-bed mixed sharing dormitory set on the second floor of the building, accessible by stairs. 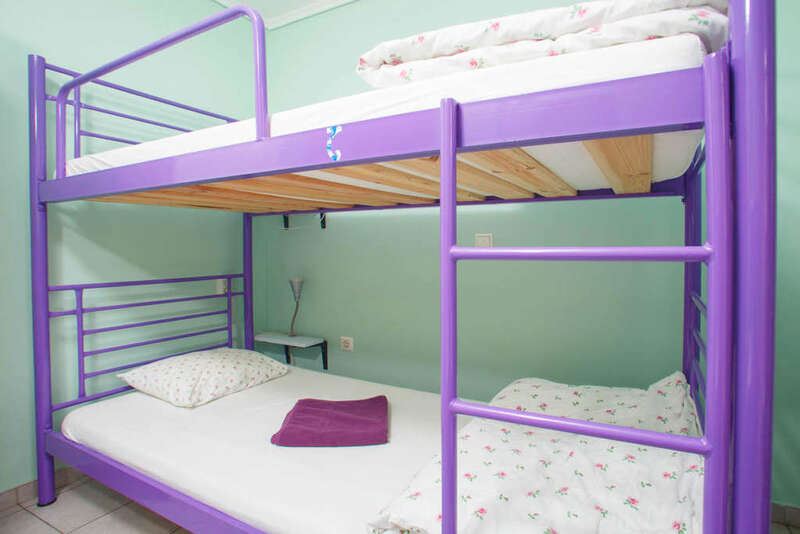 This room has three bunk beds with comfy mattresses and a balcony overlooking the beautiful seafront of Thessaloniki. Each guest has one large, individual locker, a reading light and electrical outlets.